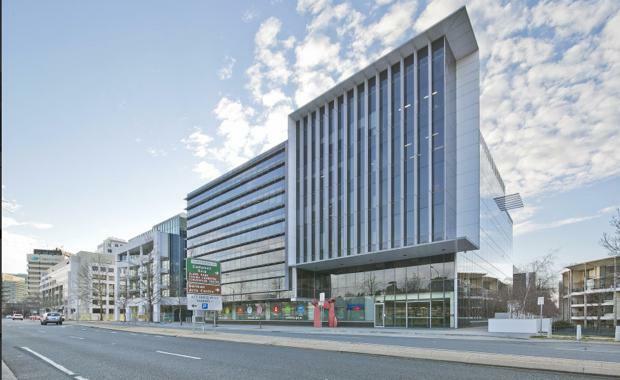 Growthpoint Properties Australia (GOZ) has acquired a prime office asset in Canberra's CBD for $70,025,000. The property at 255 London Circuit was sold by JLL on behalf of London-based vendor Brompton Asset Management. Settlement of the sale is subject to approval of the tenant, DFAT. The property was sold by JLL's Head of International investments - Australia Simon Storry and Head of Sales and Investments-ACT Michael Heather via an International Expressions of Interest Campaign. Mr Storry said: “The property was well received and highly sought-after in the market with a number of interested bidders, partly generated by the scarcity of assets like this currently available. This competition produced a favourable outcome for Brompton Asset Management. “Brompton Asset Management holds a number of assets in the Australian market, ensuring they will continue to be an active participant by recycling capital to invest in new opportunities. "Mr Heather said: "The yield compression trend being experienced around the country has now been replicated in Canberra with the prime yield range now tightening by up to 25 to 50 basis points as a result of the 255 London Circuit transaction. ""We experienced a noticeable increase in enquiry and buyer participation during the 255 London Circuit campaign not seen for a Canberra office asset since 2007, which highlights the unsatisfied demand for assets in Canberra underpinned by a high quality lease covenants in core locations. "The property also offered a Weighted Average Lease Expiry (WALE) of over 11 years, and was awarded a 5 Star Green Star office design v2 rating, a 5.5 Star NABERS Water Rating and 4.5 Star NABERS Energy Rating.